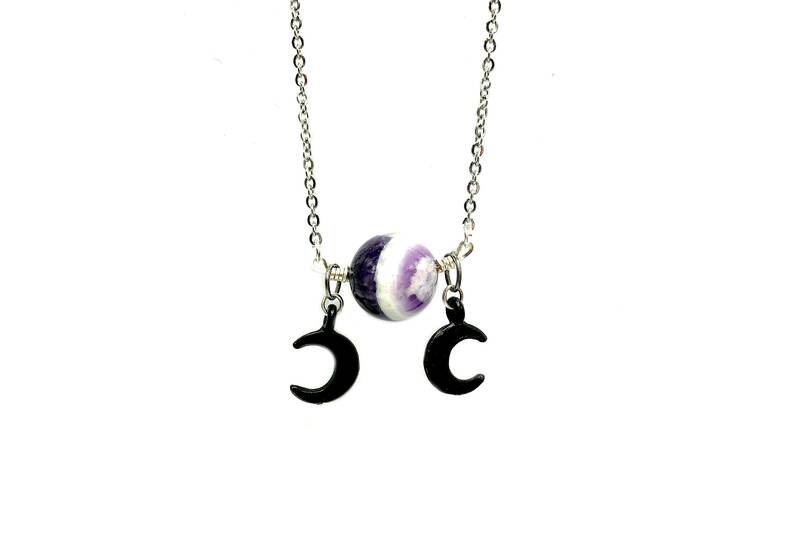 The Europa Necklace features a stunning banded amethyst bead and two alloy moon charms. Lead and nickel free. Limited edition item. Stainless steel chain. 16 inches plus 5 inch soldered extender chain.